No matter how smart a child is they will need memory skills to succeed at school. There are two main memory categories that are relevant to learning. The first is long-term memory and the second is working, or short-term memory. Long-term memory is the ability to remember events or facts that we have learnt by accessing information stored inside our brains. This is also relevant to what we learn in school. Working memory is the ability to remember a number of different facts and ideas at the same time for a short period of time. An example is when we try to remember a phone number we have just heard. It is crucial to a child’s education that they have both a good long term and working memory. Children need a good working memory to process what they have just read, heard, or instructions they have been given, but they also need to access long term memory for things like grammar, spellings or tables. A child with working memory deficit often struggles to stay on task, remember instructions and complete work. This deficit will also affect the child’s long-term memory, as information needs to be processed in working memory before it can be committed to long-term memory. Everyone is born with the ability to memorise, but using memory is a skill that can be learned. The key to improving your child’s memory is to get them to exercise their memory skills. One way of improving a child’s memory skills is to discuss past events with them. Studies show that talking to children about past events affects their ability to remember. This can be done in an elaborative rather than a collaborative style i.e. you do not have to tell or ask your child what happened – instead you have a collaborative conversation in which you help your child to make associations. To exercise working memory there are many parent-child activities that can build working memory skills. For instance playing board games requires working memory to apply the appropriate rules and to play the game in sequence. 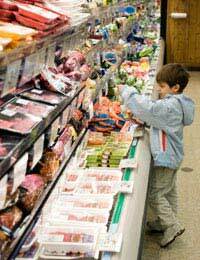 Another simple activity that can be carried out when shopping is encouraging your child to remember a list of items that you need to buy. When a child is doing homework make sure that the instructions are short, simple and direct. Break homework into smaller chunks – rather than giving your child the full fifteen Mathematics questions to complete, encourage them to do five at a time. Rote memorising has become popular for schoolwork but this type of learning does not suit all children. A strategy, such as using a mnemonic, can be a powerful memory aid and can also provide good general training for working memory. Adapt the instructions that you give to suit your child. If your child does not remember verbal instruction maybe writing out a checklist for them where they check off each step as it is completed might be more relevant. Try to help your child to relate the work they are doing to a particular topic or event that is familiar to them. Integration of topics and ideas in this way will help to improve a child’s memory skills. There are many memory games that you can play with your child that will also improve memory skills. You can find many different relevant websites on the Internet that will teach memory games and skills. There are special computer programs that have been devised to teach memory strategies and take the child through enjoyable exercises that develop and extend their learning skills. If your child is older and is taking exams, good memory skills will help your child to study more effectively. This leads to higher exam scores and improved confidence. When studying, information should be broken into smaller chunks and the material should be broken down into main points. Spaced repetition will help to integrate the information into your child’s long-term memory. Once information has been learned it is important to review it one hour later, one day later and even one week later. During exam time, stress should be kept to a minimum as this can affect memory. If your child is taking an exam and they cannot remember something they should take a deep breath, move onto the next question and go back to it later. With practice many of these techniques can be learned very successfully, and can become easy and automatic for your child. As your child’s confidence grows so will their love for learning.